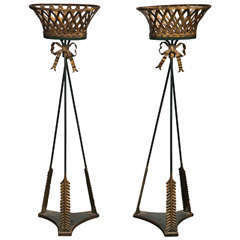 Painted French wire basket plant stand or jardinière with hairpin legs. 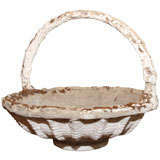 Features a decorative scrolled motif on top and could serve many purposes. 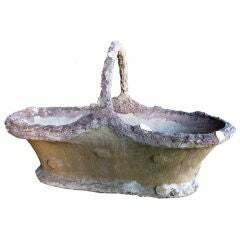 Stable with a flat bottom and round ring stretcher conjoining the legs. 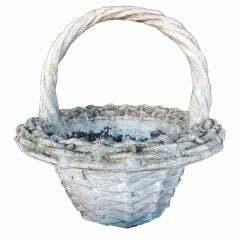 Wonderful tabletop accessory that's a 19th century wire and metal basket planter, filled with tole leaves in a gunmetal grey.